Scientists all over the world are working towards new methods to realize an unhackable internet, an internet based on quantum entanglement – an invisible quantum mechanical connection – as networking links. The greatest challenge is scaling to large networks that share entangled links with many particles and network nodes. 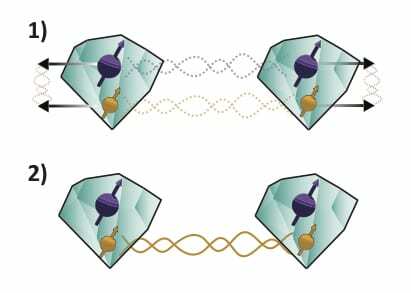 Researchers in Delft and Oxford have now managed to distil a strong entangled link by combining multiple weaker quantum links into one. This method is essential to realize a trustworthy quantum network between several quantum nodes. This innovative new work has been published in Science magazine. Below you can find relevant articles, an image gallery and an explanatory video. Please click on the image or link to get more information. The material may be used free of royalties for purposes of news items when adding ‘Image: Hanson lab@TUDelft’. Science, published online June 2, 2017. The entanglement distillation protocol is a two step process. First non-local raw input states are generated. Second, local operations allow for the distillation of a higher-quality output state. 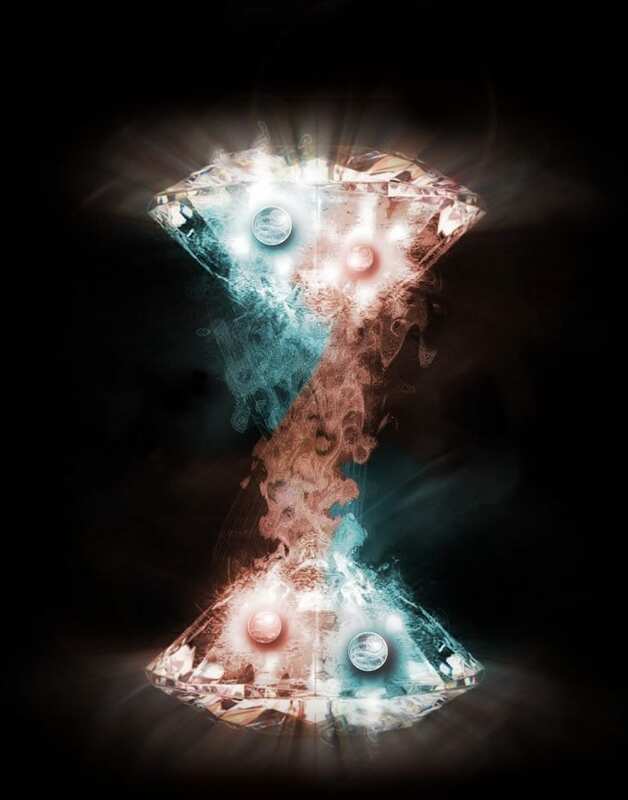 Artists representation of two entangled states shared between two diamonds. A key ingredient for the realization of entanglement distillation. This video explains the concept of entanglement distillation for a general audience.